Search engines are where brick and mortar stores are most likely to be discovered, so why would you not look at employing some SEO tactics to improve the profile of your offline business? SEO is not off-limits for offline businesses. 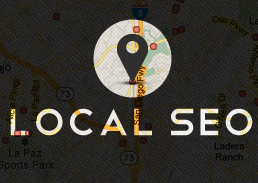 Local businesses that have a physical location or offers local services can leverage the internet to their advantage and improve their profiles. The phone book is quickly becoming an antiquated tool, thanks to listings sites like Google Places. A good SEO plan will empower your business to rank ever-higher and improve its visibility. Statistics from ConStat show that 70 percent of households in the US use the internet for local shopping, regardless of whether they are looking for products or services. Search engines are now geared to consider user location when results are displayed, and this allows businesses to improve their geo-targeted marketing strategies. A normal search query will see an increasing amount of the results page featuring local results. 20 percent of Google searches connect to user location in some ways. That means some 3 billion searches per month contain local bits of information. It is clear to see that your business can’t be left behind any longer – not with billions of people looking to establish a relationship with local businesses like yours.